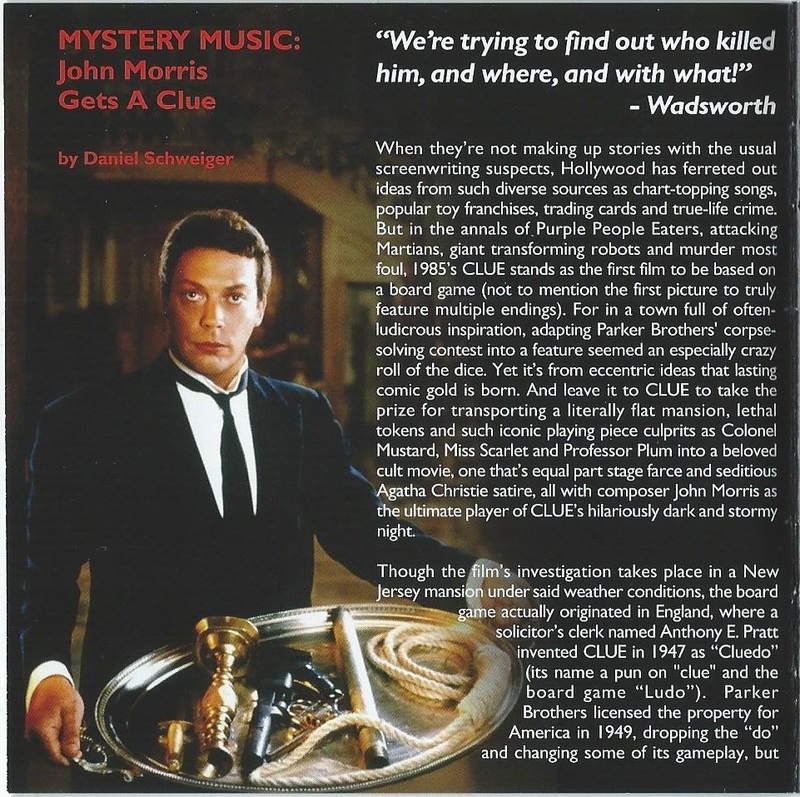 Yes, John Morris did the soundtrack for Clue. As I listened and remembered another soundtrack he’d done the spookier elements made sense. 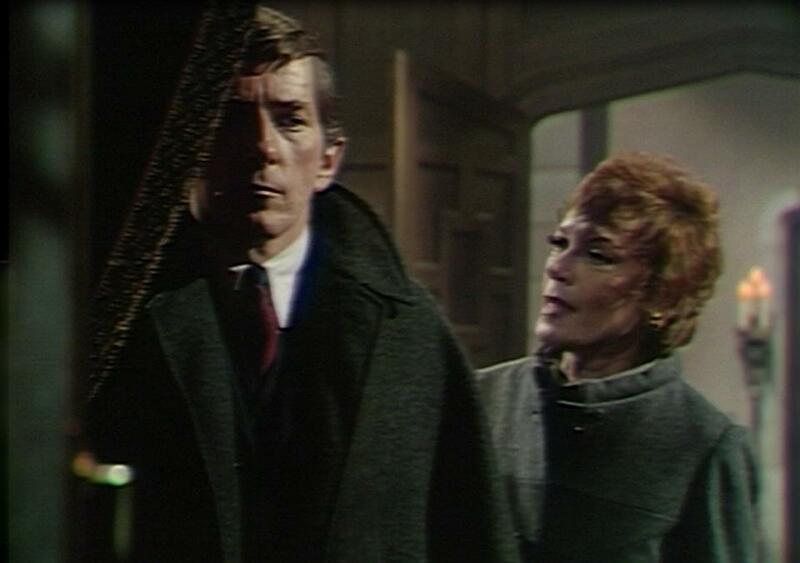 There is definitely that same air of haunting at times as “The Elephant Man”, but of course with humour involved, Clue has some wackier elements and of course those wackier elements are what I’m shooting for in this episode of The Pit of Ultimate Dark Shadows. Today and yesterday I needed to lower the volume on it because of dialogue. It’s been a very weird imbalance on facebook. When I heard my second episode on the radio I decided it was time to let everyone know I finally got to a station for sure and certain. Many of the others haven’t contacted me to say they played the CDs or anything. I still have a few people who respond to other things in other posts as if in denial it’s in audio or I have more than one pairing. What weirds me out is how high the download numbers are. One would think there are listeners who want to discuss the program with me. As for folks who do? Time seems to be the problem on one angle, but then my show is lengthy, how do they have time for that? Then it became a pseudo fun stream of Monty Python oddities. Excellent! Sometimes my Roger kills me too! Can I say That’s A Wrap without it literally being a wrap? Ugh… looks like the ghost of Caleb Collins has a drift from the sound in his voice via different lines from last year and this year. I amplified the volume on the old lines that stayed and trying slowing down the speed on the new lines. Glad I got in a vaguer line about whether Elizabeth hired Victoria on purpose. Keep it open-ended, just like on Dark Shadows. I suppose that’s why I get so tired of people throwing their fanfiction in my direction. I have given my time and attention for years, then started this huge task with barely any discussion over it. It’s all well and good that marvelous stories have been attained, but I and a friend came to the realization that the newer stories coming out are closer to the original series because people are collecting all the DVDs again and have a better grasp of the entire picture. Imagine hundreds of these voiceless types staring at you and you’ll have a pretty good idea why I get the 3AM jitters over lack of discussion. Ewwwwlllagh! I went over the Caleb and Liz lines again, then the Morticia and Victoria lines, added better sound effects to what Tom Jennings is doing. Some of the background music for Wadsworth and Willie’s scene needs altering but I can’t go in until the rest is finished or it will screw up the different locations. Ah… now… the music for climactic scene in which, yes, Dr. Julia Hoffman is the big hero! Professor Stokes is the runner up since as far as I know he actually has a car and Julia tends to go without one sometimes. Now where are those absolutely dynamite car sound effects that made it all come together in the demo last year? HUH? What the heck are they doing in that folder??? I gotta switch some stuff around. Ohhhhh yeah! That’s some good stuff! Crap! It’s LOUD! Let’s lower the volume on Professor Stokes car. Now let’s delete the part where I announce: “Motor noises, revving engine.” Hmm… this one has that clicking noise but I have serious doubts Julia is going to bother using her turn signals at this point. [chuckling] Hmm, Professor is wondering why Dr. Hoffman is chasing down Barnabas Collins with the car and going in another direction. Now I can’t seem to say which sound effects come where. Ah, yes. Maggie is on the porch. This saves me the trouble of having them rush to the Evans Cottage door and opening it and all the: “Hi, can I take your coat?” nonsense. We’ll just cut to the chase for time! Aaaaaaaaaaaaaand the sound program just croaked! URRRRRRRG! Oh, wait… will I get lucky for a recovery of everything if I re-open? YES! Okay, better save the file again to keep all of the updates. 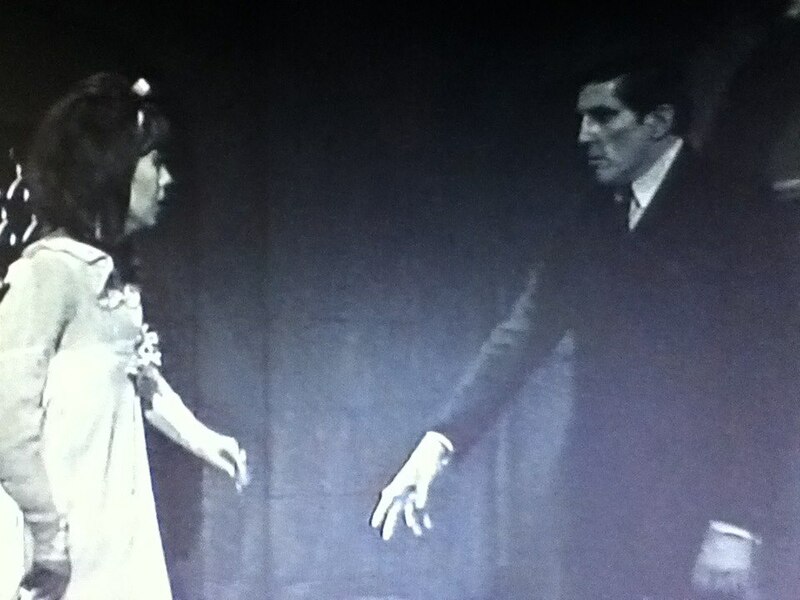 I don’t want to go through the excess of Julia and Eliot rushing, as is usual in Dark Shadows, that they need her and there is no time to explain, no really, there isn’t time to explain, no really, there is no time! 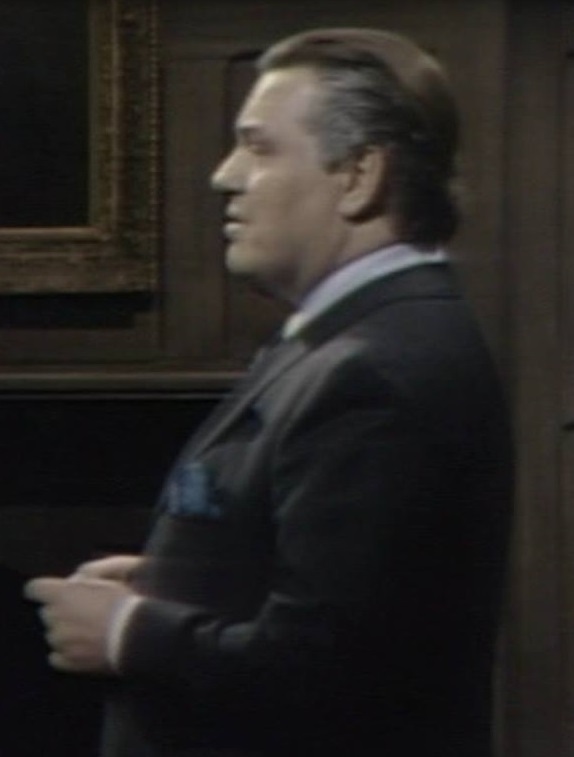 Although, on Dark Shadows, more often than not, they don’t get through that part this quickly. They tend to argue about it so endlessly one realizes they actually did have time to explain the entire dilemma since they argued over whether or not they could explain it for almost half the episode. Phew… okay, it’s very nice to hear it with the background music but since it’s not matching at the end where I was hoping I think I can remove it on it’s own and put it in later when I finish with where the sound effects need to go. What a pain! *sigh* Dang… this might be another hour long episode! I just hit the 50 minute mark… I guess it’s possible to go back and remove bits of silence, especially when it comes to rushed dialogue for a climactic scene! I dunno if I can sort through it… That is a lot! Yeah… it could be fun, but with so few people to discuss it with and rarely… Fun? Not really… Hopefully that will change in the future. And the drama continues. I think for the beginning we’ll have that cello poignant, but the rest of the argument doesn’t really require more. We’ll see as I save the file for the 7th time right now. Whew! Ten minute mark now… Got the chills listening to Julia case on Barnabas and her confusion about the whole thing. Excellent. I know the file was about 57 minutes without all the extras so we’re at a fifth now depending on how well it mixes. Kind of want to put some pacing footsteps in with this sort of melancholy versus irritable discussion, but… hmm… Maybe it’s not necessary. And up to the point of why Barnabas loves Josette? Well, here is a 16 second clip of music… should I use it? Hmm… Bleh… 16 seconds needed to revert to less and faded in and out again repeatedly to make it work with the dialogue. Dang… that flute music over there is so… It’s The Great Pumpkin, Charlie Brown. What is it about the 1960s and spooky flute music? The real question is if it works with what Barnabas is explaining now… Nope, this is the part where Barnabas notices Julia is wondering and he has to tell her he doesn’t have the same feelings for her as she does for him. Ugh! I’m only at minute 13? I need a break! But I have to get to another 10 minute mark. Now, they’re discussing Josette as Maggie and how important that is. Well, none of this music is working. Let’s go back to some George Shearing I used for part of the regression therapy in episode 12. That sort of makes those areas of [awkward silence] not so silent… Well, Mr. “Big Cake” is being so melancholy I think it all should be there. Oh, goodie. I responded to Cara Mia and my husband called me back. After all this pairings weirdness trying to hook up everyone in Collinsport with each other, it’s nice to have a pairing of my own! The purple arrow is Professor Stokes footsteps, the black arrow is Wadsworth’s footsteps. Checking the text… am I getting all of that right? Good, good. A few of Stokes lines aren’t low enough. Change pitch but not of all the words. WADSWORTH: Sir, are you sure this will work? STOKES: I have little doubt about it. 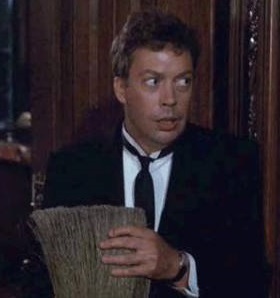 You have managed to perform some miraculous feats since you arrived at Collinwood, Wadsworth. I think Mr. Loomis being able to see you might do the trick, indeed. Yep! All of that work and many hours with breaks and I’m only done with seventeen minutes of completing Episode 13 with music and sound effects. Told ya it was a pain in the arse! Thank Heavens I’m a listener. In my original plan Victoria and Peter were on a road trip to escape the madness of Collinsport. Peter didn’t disappear into the past, and because he had the Jeff Clark persona the paperwork for their wedding is as Elizabeth states: “…so hazy.” They dabbled in a time travel accident leading them to Twin Peaks and staying at The Great Northern Lodge. Twin Peaks being in Washington State, Victoria was able to get a postcard to Elizabeth, and Roger made fun of the idea they were investigating The Space Needle in Seattle. I double checked to make sure The Space Needle was up in that time frame. I was pretty sure it was as I have an issue of National Geographic from the event of it’s inception. Fascinating stuff. As for today and days prior, the climactic scene for my 13th Episode is still without music or sound effects. Julia Hoffman was rough to pick which inflection was the best, Professor Stokes was the same. There are times the first one is best but when I perform the lines I’m not sure so I give it a few runs while recording so that I can pick later. 3 to 5 different choices, sometimes more. 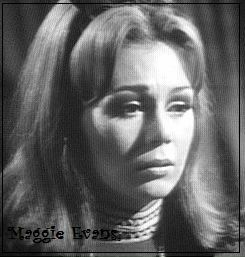 Maggie Evans was very rough to figure out as it is a climactic scene and I’ve been trying to get her down better. Kathryn Leigh Scott’s performance of Maggie Evans, etc. has a pitch in her voice, opening the throat, and working through the nose to create something fuller in scope than most actresses. It’s a rich and unique sound. Also trying to get the best of how Jonathan Frid would naturally say it as Barnabas… Would he pause before a word like in this line? Would he say it strait like this other choice I recorded? Would it be a combination? After all this and him still boo-hooing? Of course she’s gonna slap him. And as I’ve gone through this process I’ve watched the fanfiction pile online grow and expand to the point The Pit of Ultimate Dark Shadows in text might not be on the first page anymore. But what does it matter? Derivatives of it are, people looking for something different can still find it. Search engines for Barnabas/Josette, Barnabas/Kitty, Barnabas/Maggie are still tapped out every so often and then they discover this blog so they can find it. And like I often say, if anyone wants all of this produced faster get in touch with me and discuss the project. That’s the whole purpose of putting it online, to find the people who prefer it or want it, as well as all of the rest, and hopefully build a small community from it. 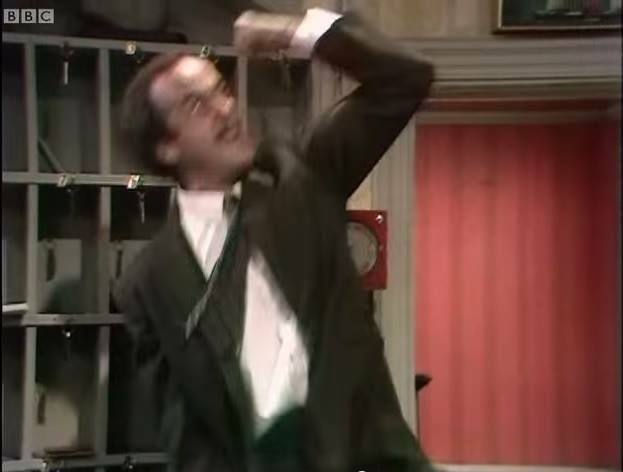 Oh dear, but what of that slap? Well, beyond Osheen’s Bill Malloy chapters, I’ve been doing this all far too long to take an interest in much else. I’m sure in the Dark Shadows pile there is plenty of domestic violence placed on Barnabas Collins from other characters since folks seem to both adore him and enjoy sending him pain. Fans can get-off on that. When it comes to the obvious moaning and groaning over the woman he actually loves? She’s slapped him, chained him, poured ice on him and strangled him to relieve her own torture and kidnapping by him. On one hand he endures it. On the other hand: It is Josette Dupres… Who gets-off on that? I’ve said it in Margaret Josette Dupres: Yep, that’s a happy man… finally. A lovely Cara Mia I found got the mp3 of the scene weeks ago and said she howled with laughter over this encounter. (Good things come to those who communicate.) She also let me know that Morticia should be a wee bit closer to what I know of Joan Bennett’s Elizabeth Stoddard as far as vowels go. Thing is I really don’t want to re-do even more lines since my plate is so filled. I simply lowered the pitch, but I intend to keep The Addams Family in our beloved Pit for years to come. 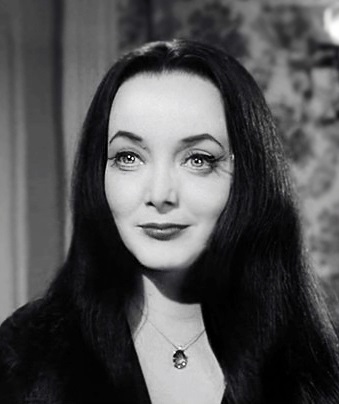 So I can get a better Carolyn Jones as Morticia down in further episodes. At first that trip Peter and Victoria took to their house was meant to result in another farce of, “Okay, Twin Peaks, AH! The Bates Motel, AH!… they’ll run away screaming from this house, too!” But then, I listened. No. The Addams Family are wholesome in a bizarre way, and they care about people and help them. Mind you, this entire scene in audio was performed a year ago. That’s how long I’ve been struggling to get good copies of this thing put down. The recorder I was using to make audio copies for a lark had broken and I decided to go with the real deal on the headset by this point. Then I discovered how much better I could make it. Listening to the demos was providing even better revisions and extensions. I just knew if I was this entertained and entertained repeatedly, I had to have something good. The Pit of Ultimate Dark Shadows is not disposable. It’s as repeatably listenable as all the other shows have been for decades. Believe it or not the younger of us know this. They don’t like the new stuff coming out, they like these shows. The chunk of this encounter is still up in text right now. 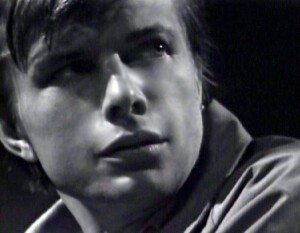 I felt it was an important scene that describes in what manner everything is all working out and why the other spooky shows understand how to relieve Collinsport of all it’s tragedy. 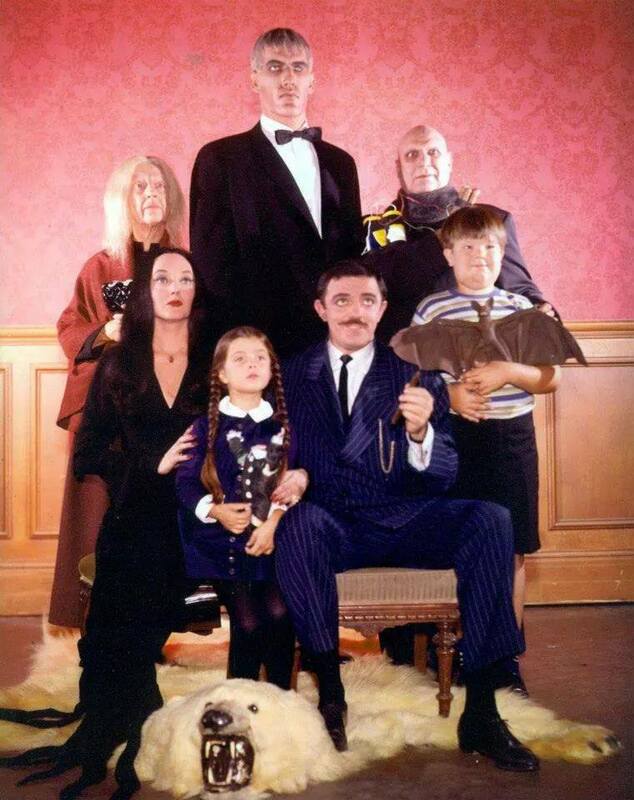 The Addams Family, especially, are very accepting of many things not normally in their own realms, however much what might be “normal” to us is not normal to them. 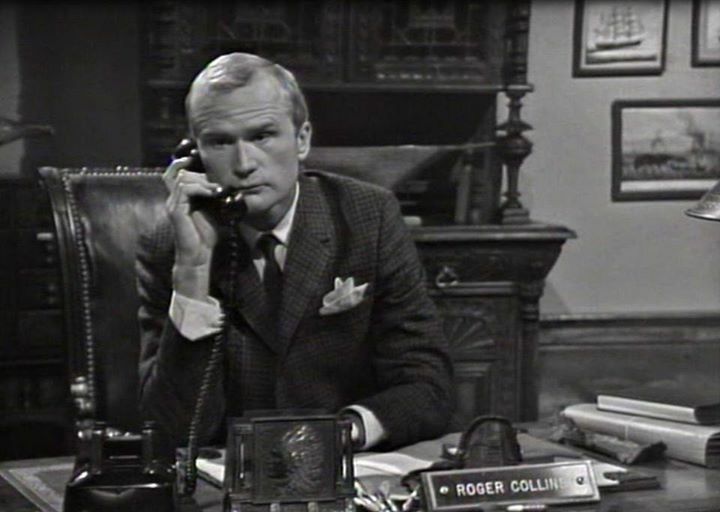 Morticia Addams hit the nail on the head in ways I never expected she would, and explains to Victoria why Collinsport has the troubles it does and why in their own house they don’t have those problems. And, of course, I couldn’t resist… One of Victoria Winters responses to Morticia Addams is: “I don’t understand.” *wink* But don’t worry, she goes on to request more information after this. It’s at times like this I feel the characters are speaking to me. No doubt, I’ve taken on quite a task to incorporate so many other shows into Dark Shadows and with a larger purpose of complexity in the good we all have to offer each other, which has been so ignored in much of what we do online these days. More often than not, it’s the negative people who speak out. The positive people are either too busy keeping their heads above water or trying to help others in ways we rarely see online. But what of the scene? Well, there is some information Morticia finds out about Victoria and what she had done in Collinsport. Did she see even more of that place than she let on? Perhaps… it’s history? Victoria Winters is still acclimating to how “weird” this family is. She’s not sure if discussing her trip to 1795 is going to sit well with them. From Morticia’s reaction, Victoria is sure she’ll be thought of as a nut-case, even by this inclusive lady of the house. Morticia becomes terribly excited. Is she responding in belief or disbelief? Morticia cries out to Grandmama, who knows all about such supernatural goings on. I did comb for Grandmama speaking in The Addams Family and couldn’t find a clip, so I shot for Carol Kane’s impression from the films. My Addams Family helper said it sounded fine. I also combed out the back history of Grandmama… In so many words she is a Witch who does not like the term “Witch”. I reported to my husband what Morticia’s reaction was in this scenario, last year, before I set it down. I say “in audio” so much because I really feel like it’s required to hit people over the head with this. The listeners who enjoy my audio work barely say anything, like-click my work up the wazoo and so I am left with the more talkative types that tend to be other writers and readers of fanwork and see it as text solely. My work is not only text. 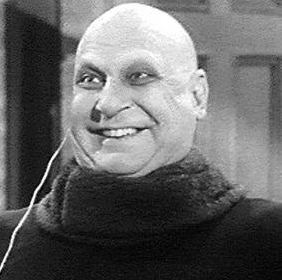 If one has a problem differentiating between functions of the ears and the eyes, as well as the switch in comprehension between the two, I think one needs more than Dr. Hoffman to help out with that. This is why signing on to the podcast pages and radio drama sites sometimes gives more scope to what I’m doing. It’s audio. And what do they say, overall, is the worst part of this work? Editing. Deleting “um”‘s, coughs, burps, you name it. What is remarkable is on one radio drama site I found, I got to look through a conversation about hired actors and directors. Me? I’m doing it all on that account. Why? I’m socially isolated. Who the hell was I going to hire? 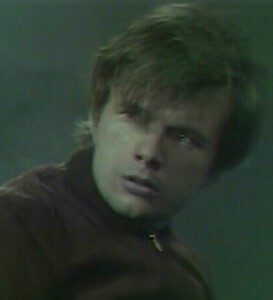 Minus the lovable bits of Sir Simon Milligan and Manservant Hecubus, there are about seven scenes in this episode to The Pit of Ultimate Dark Shadows. In the last two days I had to go over Barnabas and Julia arguing and yelling at each other, amplify bits, change pitches here and there and with Barnabas it truly is per word sometimes. 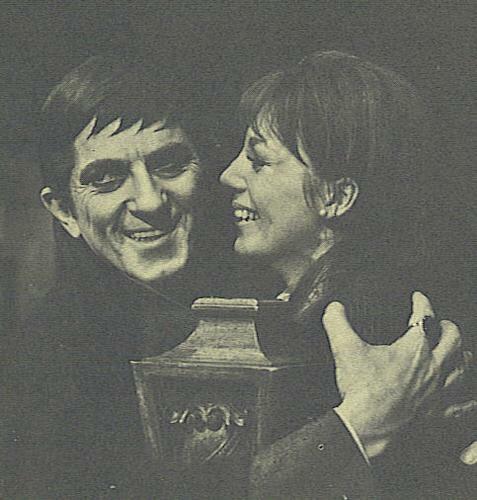 Jonathan Frid’s Barnabas Collins is just that difficult to get anywhere close to… well… close! Not the correct house but I didn’t want to re-use the photo from another post. 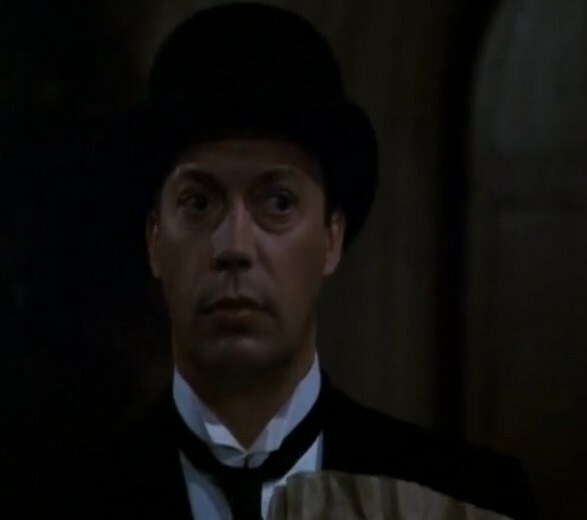 Next I had to go over, yet again, Wadsworth encountering Mr. Loomis in his quarters at Wyndcliff Sanitarium. Since Wadsworth is missing in episode 12 after taking a walk with Professor Stokes in episode 11, Professor Stokes is the person who decides it’s about time to bring Wadsworth and Willie together. Professor Stokes has already been incorporating calligraphy into Willie Loomis’ routine. 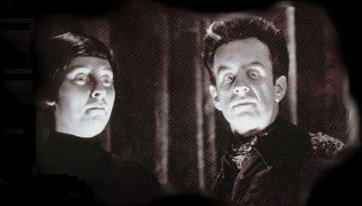 Stokes also understands that both have worked for Barnabas Collins as men of service, so they already have something in common. What more might there be? If anyone knows me on facebook I was shaking my fist last night because Wadsworth’s lines were making the microphone pop when I performed them. So I had to re-perform those lines today. 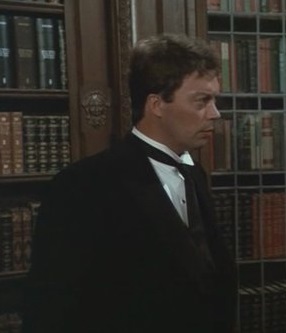 I thanked a person on youtube for a video of Wadsworth and Miss Scarlet so I didn’t have to whip out the DVD of Clue. However, I only had to change three words after all of that work. That’s how intensive this labour is. It’s for this reason I spiral out of control online sometimes. I have approximately 500-700 listeners at this point and getting people to discuss the humour or scenes with me is like pulling tusks out of a still alive and kicking elephant. Why is this? I can only speculate. Whenever I’ve enjoyed hard work online I speak up immediately and often. This is the reason one of the first persons I contacted in my struggle was the maker of the DS Annotations videos. Unfortunately for me she’s moved on from Dark Shadows, but her videos of old still reign supreme. It was also the reason I expected vocal reaction to my humourous series. DS Annotations on youtube had plenty! After Wadsworthe and Willie is the scene between Sam and Maggie… or I should say Sam as a reincarnated Andre Dupres and Maggie as the reincarnated of Josette Dupres, and them both working things out. I wanted to save Sam Evans… how I came up with him being Andre Dupres is rather easy considering all the reincarnation swarming over Collinwood… but the characters must have guided me to this newer relationship. Considering Sam and Maggie, as father and daughter, they have a friendship that astounds me and always has. They can dig at each other and joke about those digs. 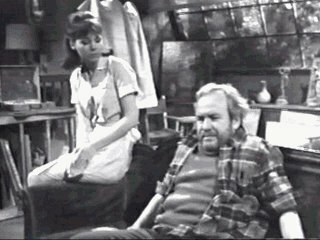 Sam is also so down-to-earth that understanding what happens in her marriage to Barnabas in Margaret Josette Dupres only bothers him marginally. 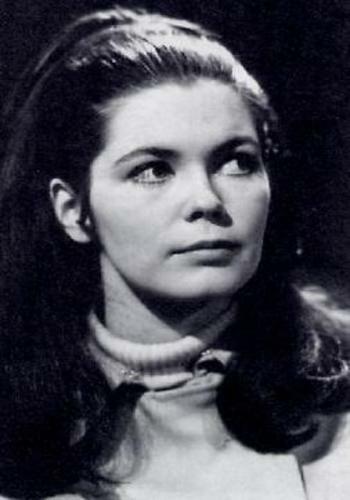 After comprehending so much super-natural broo-ha, as well as the understanding an artist has in the depth of love he likely experienced with both of his wives, Marie la Freniére as Andre and Maggie’s mother as Sam, it only fazes him slightly in the knowledge of what Josette attains with Barnabas in that novel, but… as he says… he does not dwell on it. 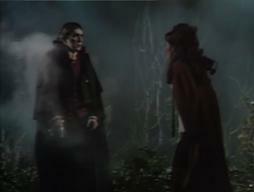 In this scene for The Pit of Ultimate Dark Shadows, revised from the original text last October (2013), Sam makes a point of being sure Maggie, as Josette, understands that even though Barnabas was wretched for kidnapping her, the main problem is that he wasn’t doing it because he wanted to, he did it because he was made insane from being cursed and being comatose for so long. 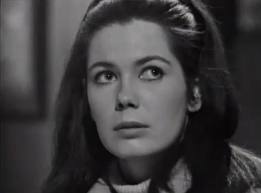 The real threat to all of their happiness, as they remember, was her friend Angelique, and that was all due to Barnabas not loving her and loving Josette instead. Maggie promises she’ll reflect on that as she exits to sit on the porch. After that is a rather short phone call of Dr. Hoffman to her workroom at Wyndcliff because she’s so frazzled trying to locate her new buddy, Professor Stokes, to request help for her worries over her other friend, Barnabas Collins, she’ll try anything, even *gasp* calling her very neglected office. Bleh… I can’t pick out which lines for Barnabas and Maggie at the end of this episode. It’s all a pain in the rear. I just went through and pasted in lines so I could decide later from one file to another. 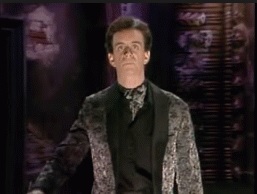 That’s what’s so tough in performing Barnabas Collins: Which inflection sounds the most like him? And then Maggie, too! There is also a line where she stops using contractions because at that point it’s closer to Josette talking. Old Colonial habits die hard? So that file is saved and then the postman dropped by asking if I had more packages to send. I told him I had to get more stamps as I’m all out sending to one pen pal and then another to our Auntie. The facebook visits in between is a fluctuation of ups and downs. Over here more evidence of bummers to fix, over there groovy, hot photos of Don Briscoe, short discussions with the Gothic types, little questions from The Monkees people, and which DS pages do I post my re-runs to? And where are The Ghost & Mrs. Muir people in the reruns? Any other college DJs to talk to? Crap! Sharon Smyth Lentz is in a world of pain and getting ready to embark on a journey. Is anyone doing well out there? So what next? More CDs burning, the cases from the thrift store are in good condition and getting used. And then starting all over from the beginning of the episode without any sound effects or music and finding which lines of whom need to be completely re-performed. I know there was some microphone popping for Wadsworth, and likely Sir Simon Milligan. Oh, hey! I got a couple comments on podomatic. Just the “this chik is awesome” kind but it sure beats negativity. What is the cent price of the basic postage stamp now? Higher than I thought, but at least we’re still in the cent-range! Stats are weird over on the text versions of everything. No word from the church people nor the co-workers. Got a few “LOVE IT!” exclamations and sticker-icons on fan pages. That’s nice. I think what’s worrying me is these folks aren’t talking because they have carpal-tunnel or something worse. Then I am totally baffled at one lady who like-clicks me intensely, never says anything but then speaks to everyone else about their work. HUH? Phooey! Where are those goth kids? They’re fun. Actually one person said something wonderful to one facebook page about a blog post from our anniversary. She was really impressed at how much I had to go through and mentioned seeing a larger consideration at how much of a burden it was to create something. She seemed far more aware in her take on it and also was careful to word it between writing, acting and audio. It felt like someone was really awake! I loved that. One thing I loved reading about in my rough drafts are Elizabeth and Lily packing up for their trip! They begin behaving very sisterly. Plus Elizabeth points out certain things as to why should a mirror reflect Lily any differently than other people, and Lily tosses out a remark about her being so quaint then quickly moving to another subject. With all these spooky characters encountering each other it is the direction one has to go. Just like in Dark Shadows when Roger tells Barnabas they were wondering where he was staying since he couldn’t find him via the Collinsport Inn; Barnabas just ignores this and inquires if Elizabeth is in.